Reason why Im still with Intel is because I use 240hz monitor and cant even look back to 144hz. I don't want to be rude but there is no other way to put it : no one cares about your fringe use case and neither does the industry, thankfully. Not even Intel according to these news. Low standards? So in your opinion the whole game industry is bad right now right? LeL can you please tell me what are your legendary favourite games then? So we can compare. Also what is a "game for casual gamers"? Wasn´t videogame industry always meant to offer videogames for both casuals and non casuals? I don´t get the point. Super Mario was a casual game, was it bad because of that tho? Can´t really get your logic bud. Come on. Horizon Zero Dawn is on about the same level as The Witcher 3. You may or may not believe it... but that then happens to be your loss. God of War and Bloodborne are close followers and either of these games could be considered a system seller. Well you gotta realize that what you desire is a niche within a niche of a niche. 240hz is a niche within high refresh rate gaming, which already is a niche in PC gaming and for many crossplatform titles, even PC gaming is a niche of the overall sales number in games. And it requires, as you have said, sacrifices. Either in resolution, in the total build cost, in the choice of monitor (TN only) and even in IQ. And all of that for questionable benefits the vast majority won't ever see, despite your fixation on how smooth a mouse pointer floats on a screen. Again: you are massively in the realm of diminishing returns, which translates as lots of effort and high cost for minimal benefits. Yeah the whole industry is utter s**t, you got this right. Videogames were art (some of them still are), and if you don't educate yourself about it, you either don't talk about them with others, or you don't treat them at all, ofc you can do whatever you want, i'm not telling you what to do, i'd never. Super Mario was a good game when it came out (also being pretty challenging for that age), now it's surely boring and repetitive and you can see nintendo has been milking that brand for years. The big problem is that videogame were only for certain people, but once the industry figured out the size of potential revenues, they widened it, made everything accessible to anyone, in terms of prices and in terms of gameplay, and nintendo is one of the biggest cause of this, and sony a microsoft are right behind. Get this : if 4K displays, which are undoubtedly significantly more common than 240hz screens, make up just 1.3 % how many 240hz users you reckon are out there ? Millions ? But go on, maintain your conviction that 240hz is a big thing and it is on everyone's list of top priories. I don't like The witcher 3, i tried to play the first 2 games and didn't like them, but i can see something decent when i see it, even if i don't like it. And no, horizon zero dawn is a super overrated game, which has nothing special, much like the witcher, but at least the witcher isn't an exclusive, and is made by actually decent developers. Sure, system seller for casual and superficial "gamers" that's pretty much correct. See, the fact you didn't discover 'anything special' in a game you've barely played speaks volumes on how credible that opinion is. How can you know something that doesn't interest you? Don't pretend you have an idea of quality because both TW3 and HZD are top notch productions, with lots of content, lots of value for money, replayability and fantastic art direction, supported by solid mechanics and gameplay. You may not like the concept but that is another matter entirely. You're right you don't have to like something to appraise it, but not having even experienced it proper is another matter entirely. At that point you're just blurting random nonsense. Do you even know who developed Horizon Zero Dawn? And what do you pretend to know about that studio? Last but not least, because this is obviously very offtopic here, but yes, the face of gaming changed, and if you think it is getting worse, it just means the appeal is wearing off for you. I've gone through these mood swings myself when it comes to gaming, and the only right approach is to open up once again and broaden your horizon. The amount of games that exists now is ridiculously diverse, if you say gaming hasn't improved, you've just got blinders on or don't know where to look. Take that as a piece of advice rather than criticism: its still possible to find fantastic games, but only if you WANT to see it. See, the fact you didn't discover 'anything special' in a game you've barely played speaks volumes on how credible that opinion is. How can you know something that doesn't interest you? Don't pretend you have an idea of quality because both TW3 and HZD are top notch productions, with lots of content, lots of value for money, replayability and fantastic art direction. I don't care to make my opinion credible to you, facts will confirm that (in fact they already started) with time, for now i'm content with sitting here watching it all crash inevitably. I'm pretty sure i've a much finer eye and attention to details than most of the people here, you don't think so? Well i don't care the important thing is that i'm sure of it, and that facts are more and more proving me right, when games like fortnite and pubg, overwatch and rest of the gang are the most played videogames, and i called this battleroyale craze BS, much before anybody i read about. Meaning: If you want to like something basically lower your standards. That's pretty much what it means and no, i won't, i'll keep my standards as high as the first day i've started with videogames, and luckily not everything is garbage, and i'm fine with 1 or 2 titles per year. Its nothing new man. Back in the day we had the same basic, arena style arcadey shooters that won the day and the majority of the gaming audience. From a Team Fortress, to UT99 and Quake and DOOM and... the list is ENDLESS. It wasn't without reason that many veteran gamers said 'Battle Royale?!' You mean Last Man Standing!? Its like all other things that get fashionable from time to time, its a cycle of endless repetition and reinventing the same wheel over and over and over again. The fact you can't see that shows how fine that eye of yours really is. Food for thought ? With the difference those games really had something to show and to demonstrate, and they were actually skill based, where you needed not only to use your capabilities in terms of muscular skill, but even brain skill, and most of them were a balanced combo of these two requirements, unlike now. It's not like i don't see it, i see it very well, even too well, it's just that i'm not fine with it, and i don't think it's fair that such an artistic and spectacular world that is videogames is now in the hands of these moneygrabber, who care nothing about quality and too much about revenue, who exploit the minds of this new generation to make a fortune, totally undeserved. I'm proud to say i've lived during the best time of videogames, but i'm also very sad to see these times go, succeeded by such miserable ones. Anyway we're much offtopic and that's partly my fault, i'd say it's best if we end it here. Even if Intel does make a 10 core "whatever lake" it'll likely be hotter & probably clock worse than 9900k, the IGP in the latter actually allows the i9 to clock as high as it does, because the space dedicated for IGP(when it's not in use) allows for slightly better temps & a much larger area on the silicon die for the heat to spread. A single die 10 core, without IGP, will be just too hot &/or appreciably lower clocked. An MCM, well let's just say I'd be curios how Intel puts their glue without an IF alternative. The deca core die has to be large, there's no doubt it but the question is can Intel afford such a large die without compromising the already dodgy TDP & wayward thermals too much, not to mention cost of such a niche product. IMO this thing's not happening, unless Intel already knows(from inside sources) that Zen2 is a monster with super high clocks & higher core count, than the current lineup. if if it's a big thing for him that's the only thing that matters. And i dont think the goal is to max out. I mean... the only reason why you cant max out with such a card these days is because game manufacturers push the graphics towards the maximum resources available at the time. Perhaps even beyond that. Any way... get rid of the 240Hz... and stop wanting to max everything out. Gaming isnt about best graphics or highest frame/Hz rate, its about good graphics/FPS/Hz without breaking the bank and enjoy the game while you're at it. You still didn´t mention what you consider great games. Waiting for you to drop names. You remind me of some dudes in 2010 when 120hz LCD monitors started to be a thing. By that time ppl would make fun of me and other 120hz users because "no one needs that" and "is all about good graphics/fps balance without breaking the bank". 8 years later and 144hz is a thing. 240hz is going the same way. It has advantages and objectively offers a better experience. A good 240hz monitor costs 270€ (AW2518HF), wich doesn´t break the bank at all and you can run Overwatch, CS, Fortnite, Warframe, Quake Champions and other titles with a RX580 1080p Medium/high settings with 160+fps. You are the typical "I don´t have it nor want to have it nor have money to have it, thus no one should have it too because is useless" type of guy. And everything needs to go accordingly your own bubble/world. Anything outside of it is "unecessary". Typical. As a kid I was already overclocking CRTs to 85hz and 100hz. Refresh rates are a thing and they defo change your experience for the best. Wether or not you want it, that´s up to you, but don´t go on saying that no one needs that specially when it doesn´t break any bank. If you can´t spot the obvious increased motion clarity and smoothness, then you must be doing something wrong. Now imagine with you controlling the game with your mouse. As always, what you want already exists, its called HDET. Now, why you would want to go spend more money to lack an iGPU, while the core i5s have proven the iGPU does NOT impede overclocks is beyond me, but hey, the platform exists for people like you. Stop whining and go buy one. You probably meant HEDT. The 10 core HEDT is the 7900X and I don't feel like spending $900 dollars for a 10 core. I'd rather have a mainstream K series without an iGPU because most K series iGPUs never get used anyways.I don't think removing the iGPU would mean I spend more money too..? I feel like removing a feature like the iGPU would lower costs if anything. HEDT doesn't exist for people like me either, I'm not a power user, but the iGPU on most K series exists for no one, it might be used as a back up to diagnose a monitor or GPU but that is about it really. No one ever bought a K series thinking about how useful the iGPU will be to them, a dedicated GPU goes into the system and the iGPU never gets used EVER. Give me more cache instead of an iGPU. If I whine enough will you buy me a $900 7900X? It's useful at lowering power consumption on the current Windows 10. You connect the monitor to the IGP, and set the dedicated video card as the "high performance" option. On idle you get lower power consuption thanks to using the small IGP instead of a full 2080ti for example. As i said i don't want to continue the offtopic. So if 9900k wasn't hot enough may I recommend "9590" for the 10 core model. Seems suitable for chip that's made hot squeezing every last bit of performance out of the current generation. 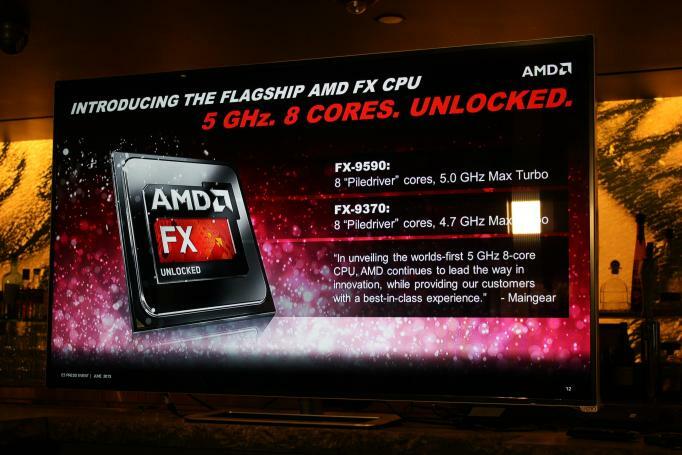 You can even reuse AMD's marketing with few minor changes. Ehm, not even Intel 9900K at 5 GHz can do 200FPS in most games... What games are you actually playing? Clone Hero? As for this 10-core: it doesn't make sense to release a 10core die with Dual channel RAM and iGPU IMO so I think it is fake. But if it is true then this will run so hot the Earth's atmosphere is in serious danger of being ignited and burned away by people overclocking these things. Maybe intel really is scared of Zen2, which I believe will match Intel core to core due to superior IPC and similar clock speeds - but also vastly superior efficiency. Actually if I remember correctly the '8 core' Piledriver CPU has 16 ALU, because each 'integer execution unit' (AMD called them Cores) has two ALU and two AGU. No such thing as "ALU CPU". Those are execution units. Come on intel, its time to come with something new insted of repacking old tech. I mean 14 NM came out in 2014 for mobile and 2015 for desktop/server and now most of 2019 now also will be 14 NM. That 4 years in total on the same die shrink. Guess im gonna stay X58 for 2019 as well then. Im not gonna upgrade before intel get there 10 NM out, cause yeah well we will not see a desent improve ment in CPU performance before a new die shrink. So I7 980X you get another yeah of torture and abuse muha muhahaha (insert evil face here). Each core has 2 ALUs, and one single FPU. The 8 and 9 series FX have 4 cores (modules, as they were called), so they are octa cores in an ALU sense, but quad cores in an FPU sense. Good thing that's in the past now.